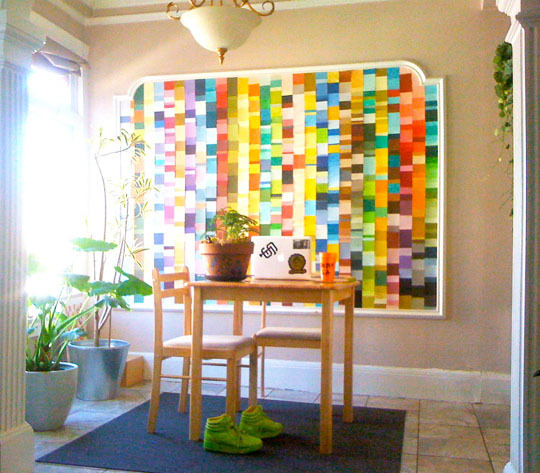 Busy Week, DC Blogs, and a Colorful Wall. I also wanted to tell my readers that I’m now the weekend editor for DC blogs, which means that I will be posting a round-up to the DC Blogs site every Monday morning now. This is just a fun thing for me to do, and as I become more entrenched in the blogging community I’m enjoying the opportunity to read more posts that others write as well as help them to get their blogs noticed and read. If you’ve never stopped by DC blogs before, I recommend taking a look at their daily round ups once in a while; they provide a varied, fun, and well-rounded look into life in general. Have a great Monday…hope your week is filled with shorter commutes and fewer icy roads than last! ← Color Friday is: Peppermint!